Planning a trip to Namibia? Wondering where to go, when and how to get there and all the things to do? My own trip to Namibia happened in October 2012. Being the planning freak that I am I still did a lot of research plus I noted a lot of information as I discovered the natural wonders of this beautiful country. This article contains all the info I collected to help plan and make the best of your time in Namibia. Officially called the Republic of Namibia, the country, located in the South of Africa is one of the least densely populated countries in the world. It is a democracy that gained independence in from South Africa in 1990 and established its capital city in Windhoek. The German legacy from the colonial times is evident in some street and town names as well as in the food and architecture. July to October is the peak season so May and End of October would be considered the best times to visit Namibia. Many organized tours are out there, especially from June to October. This allows you to see a lot of without being tired of driving. However it prevents you from stopping whenever you want and doing some detours. 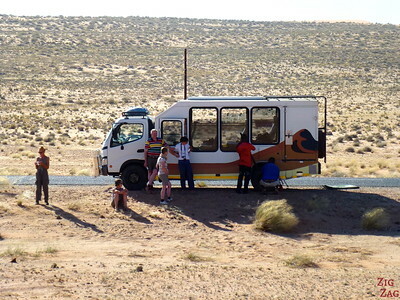 I personally used Wild Dog Safari and their 2 week Namibian experience, which was a camping tour. Namibia is quite a big country and the various famous sites are sadly not very close from one another. So you need to plan sufficient time. To help you plan your itinerary you can check out my Namibia online destination guide with many photos and planning tips about specific locations and activities. When it is getting closer to leave for your amazing trip, you can also check my post on preparing and packing for a trip to Namibia!